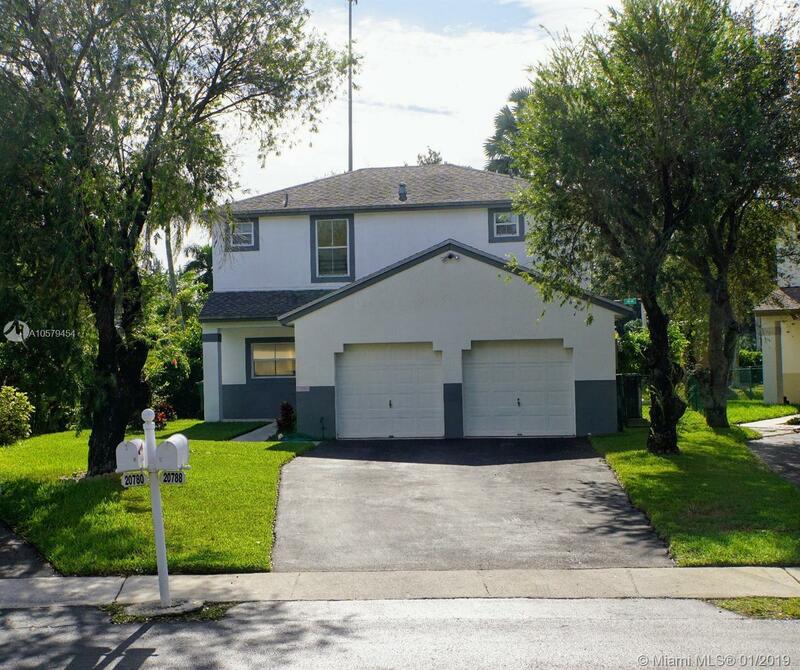 20788 NW 1st Street, Pembroke Pines, FL.| MLS# A10579454 | Susan J Penn l Best Agent l Buy & Sell South Florida Homes! Beautiful CHAPEL TRAIL home with a LARGE FENCED BACK YARD! This meticulously maintained 3 bedroom/2.5 bath home is perfectly situated in the back corner of the neighborhood offering privacy and no backdoor neighbors. The extra long driveway can easily hold 4 cars. Garage has been converted into 4th bedroom and all big items in excellent condition- 2019 GE Electric Panel, Roof 2010, Fence 2018, newer AC and Water Heater. No polybutylene pipes, entire home just changed out to new plumbing to reduce insurance! Low HOA includes high speed internet and cable. This quiet community has a pool and playground within walking distance and is convenient to A+ Schools, Highway 27, shopping and restaurants. Great family home in one of Broward's finest areas! Directions: From I-75 Or Highway 27, Take Pines Blvd To 208th Avenue. Go North On 208th To 4th Street. Turn Right And Go To First Subdivision On The Right, Dimensions. Turn Right Into Community And Make Another Right. Follow Along On 207 Way To Back Corner.